The "Laboratorio di Microsistemi Integrati", IMS, is within the "Dipartimento di Ingegneria Industriale e dell'Informazione" of the University of Pavia. The Laboratory deals with the design, the fabrication and the testing of semiconductor devices and integrated circuits. The design of analog and digital circuits for signal processing and memory storage are the major research activities which are often organized in collaboration with several semiconductor manufacturing companies. Main research topics are in the field of ADC and DAC, non-volatile memories (Flash and phase change), and sensors. 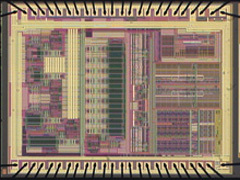 The research activity also covers other fundamental areas, such as the modelling of integrated circuits, methodologies for computer-aided design, and experimental characterization of integrated devices. The head of the Laboratory is Prof. Franco Maloberti.